All chainsaws have either manual or automatic pumps that dispense oil evenly on the saw chain. The oil removes friction and help the chain slide easily around the bar. A well lubricated saw chain should be able to cut well with no problems at all. If the bar and the chain are not well lubricated, the friction caused when the chainsaw is being used to cut wood can cause the bar to overheat.This will damage both the chain and the guide bar. Overheating can also cause irreversible damage to the engine. When the oiler is damaged or not working properly, the chain becomes very dry. If you continue cutting, the bar is likely to become very hot and the chain may start producing smoke. These are signs that the chain is not getting sufficient lubrication. However, sometimes your chainsaw’s oiler may produce excess lubrication than is needed to keep the saw chain and bar working efficiently. This is not good for your chainsaw either. 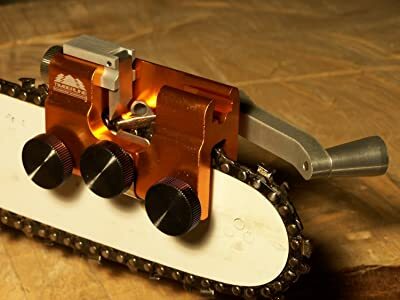 If the oiler is not well adjusted such that it causes oil to drip from the chain and run down the guide bar, the guide bar may collect saw dust, debris and all sorts of dirt. This may also cause the oil holes to block. Excess oil or insufficient oil may not necessarily mean that the oiler is damaged. A change in adjustments may be a simple fix to the problem. If your chainsaw is new or you have replaced your chain and guide bar, you will need to keep adjusting the oiler until you determine the right setting that will enable the oiler to produce just the right amount of lubrication. In case your oiler is producing excess oil, turn off the engine and remove the spark plug. Slightly turn the regulating bolt to the left and wipe the guide bar and the chain with a soft, dry rag. This should reduce the amount of oil produced and also get rid of the oil which had dripped on the guide bar. If the oil produced is insufficient, adjust the oiler setting by turning the adjusting screw to the right. This should allow more oil to get to the chain and the guide bar. If the above fixes do not work or oiler problems keep recurring, this could indicate that your oiler may be damaged. In this case, the only solution would be to replace the oiler before it causes irreversible damage to the engine of the chainsaw. How Much Oil Does Your Chain And Guide Bar Require? As you have seen above, too little or too much oil is not good for your chainsaw and either of these situations will cause problems for you. Again, the amount of oil required may vary depending on the size of your guide bar and the cutting jobs you use your chainsaw for. 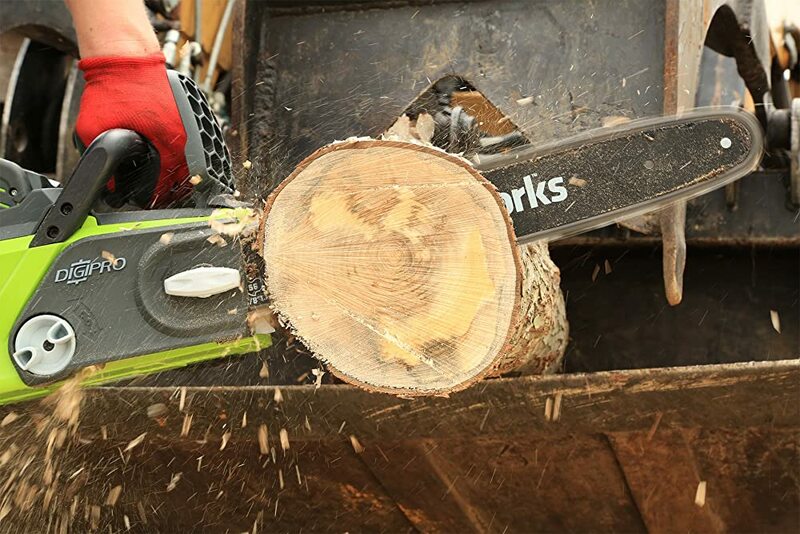 Although knowing the right amount of oil that your chainsaw requires may be difficult at first, it should be easier as you continue to use your chainsaw. With time, you will be able to figure out the adjustment that works best for your chainsaw and your cutting techniques. You will need to slightly adjust the amount of oil your oiler produces if you happen to change or replace your guide bar and chain to a bigger or smaller size. As you continue to use the chainsaw, you will be able to determine the adjustments that are needed for your new chain and guide bar. Always ensure that you use the best kind of oil that is recommended for your guide bar and chain model. Before using your chainsaw, you should always check the oil levels in the chain oil tank to ensure that the amount available is sufficient. If not, refill the tank. To ensure that the oiler is functioning correctly, start the chainsaw and let it run for a few minutes then direct the tip of the chainsaw blade towards a piece of wood. Allow the chain to revolve around the guide bar. If the chain is throwing small amounts of oil on the nearby pieces of wood during this exercise, it means that your oiler is working as it should. Thanks for the reminder that I should always ensure that I’m using the best kind of oil for my chain model. I didn’t realize that there were actually recommended oils, but I can see how this can help ensure that it’s working properly. Overall, taking the right precautions and getting the right products will always help your equipment to work better at the end of the day! Thanks again for the heads up!